Dress up in traditional Korean robes, the Hanbok with your friends and snap that perfect Instagram shot! It was a good introductory session to hanbok and kimchi. The instructor was friendly and gave us many pointers to pose with our hanbok. We also get to bring home our self made kimchi. Plan this activity in your itinerary if you are in Myeongdong area. Learn how to make the two most famous Korean dishes, Kimchi and Tteokbokki (spicy rice cake), in Myeongdong, in the heart of Seoul - Korea's vibrant capital. 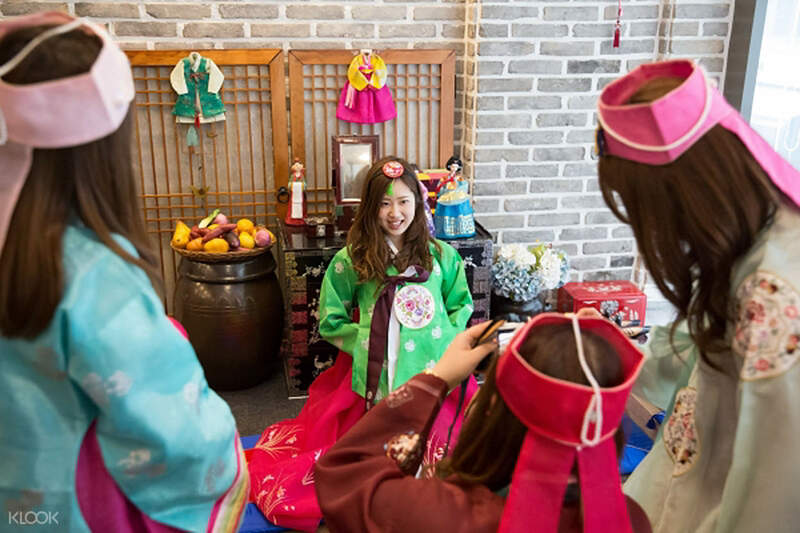 Apart from learning the secret behind making great kimchi, your hosts for the day will also let you try on a Hanbok, the Korean traditional costume. After snapping some shots of your Korean garb, enjoy your kimchi or take it home to eat later. The course is ideal for beginners, and is particularly focused on those hoping to learn more about Korean culture in an all-encompassing and practical manner. 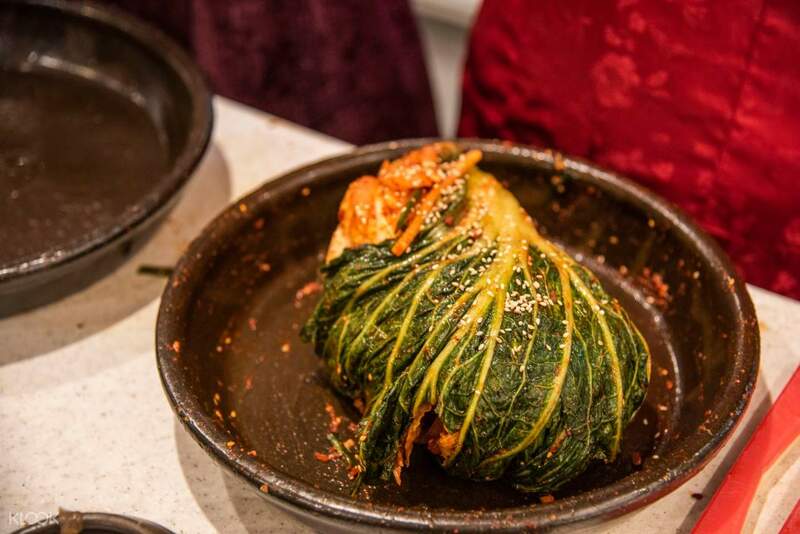 The professional instructors taking the class will teach you how to make kimchi step by step and tell you interesting historical and cultural facts about kimchi. The perfect food and culture class giving an introduction to Seoul! What's cooking? 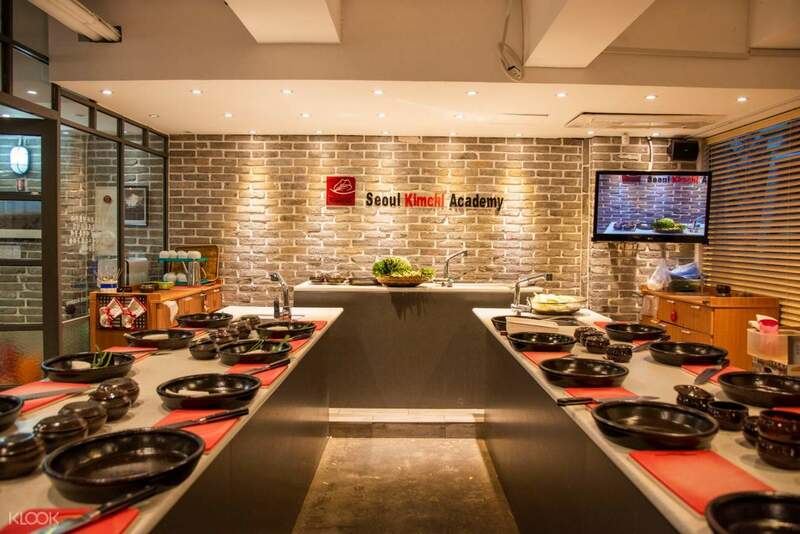 Spice up your knowledge on Korean food culture with a fun cooking class in Seoul! Try your hand at making great kimchi, Korea's favorite side dish! It was a good introductory session to hanbok and kimchi. The instructor was friendly and gave us many pointers to pose with our hanbok. We also get to bring home our self made kimchi. Plan this activity in your itinerary if you are in Myeongdong area. It was a good introductory session to hanbok and kimchi. The instructor was friendly and gave us many pointers to pose with our hanbok. We also get to bring home our self made kimchi. Plan this activity in your itinerary if you are in Myeongdong area. Our family enjoyed very much in Kimchi Academy. We arrived earlier so we had more time to choose hanbok and took lotsa pictures. The host was very friendly and super speedy in taking pictures. The building is diagonal opposite a 7-11 store on 2nd level, line 4 Myeongdong station exit 10 is better as once exit will be the correct direction rather than exit 9 has to turn back else will walk further away from it. (Look for building name “東洋-Dongyang” as kimchi academy not easily spotted). Our family enjoyed very much in Kimchi Academy. We arrived earlier so we had more time to choose hanbok and took lotsa pictures. The host was very friendly and super speedy in taking pictures. The building is diagonal opposite a 7-11 store on 2nd level, line 4 Myeongdong station exit 10 is better as once exit will be the correct direction rather than exit 9 has to turn back else will walk further away from it. (Look for building name “東洋-Dongyang” as kimchi academy not easily spotted). The culture experience is so excited. We learned step by step and easy to follow up with tutors. After we finished, we can bring all kimchi ourselves back to home, it’s so sweet. The culture experience is so excited. We learned step by step and easy to follow up with tutors. After we finished, we can bring all kimchi ourselves back to home, it’s so sweet. Hanbok wearing is fun. Our family of 3 took many nice photos while wearing it. The instructor is very helpful, taught us how to pose and helped us to take nice photos. Kimchi making is fantastic, my 10yo daughter enjoyed a lot. We are allowed to bring back our own made kimchi. Instructor said have to leave it for 2 days before we can consume. Looking forward to try! Hanbok wearing is fun. Our family of 3 took many nice photos while wearing it. The instructor is very helpful, taught us how to pose and helped us to take nice photos. Kimchi making is fantastic, my 10yo daughter enjoyed a lot. We are allowed to bring back our own made kimchi. Instructor said have to leave it for 2 days before we can consume. Looking forward to try! A very very good experience whereby u get to learn how to make kimchi and tapokki. Everything was provided and the teacher helped us to take a lot of photos. A very very good experience whereby u get to learn how to make kimchi and tapokki. Everything was provided and the teacher helped us to take a lot of photos. We got lost looking for the building name but we managed to see the banners up in the window to know we’re at the right place. They were super kind, managed to fit in the whole experience and took a ton of pictures for us! We got lost looking for the building name but we managed to see the banners up in the window to know we’re at the right place. They were super kind, managed to fit in the whole experience and took a ton of pictures for us! Great cooking experience. Highly Recommended. Thank you Klook. Great cooking experience. Highly Recommended. Thank you Klook. We were 10mins late for the class because the building was hard to find due to inconsistencies with Google maps. Once you exit the MRT station (Police Station/Cathedral exit), turn right on the first corner where you’ll find Angel-in-us coffee, then turn left uphill, after about 3-4 buildings, you’ll find a small sign board across the road where you’ll find the Seoul Kimchi Academy at the second floor of the building. The instructors were pleasant and helpful. TIP: Take your time taking photos in a Hanbok as they have a good selection of colors to choose from, complete with accessories for both men and women. We were 10mins late for the class because the building was hard to find due to inconsistencies with Google maps. Once you exit the MRT station (Police Station/Cathedral exit), turn right on the first corner where you’ll find Angel-in-us coffee, then turn left uphill, after about 3-4 buildings, you’ll find a small sign board across the road where you’ll find the Seoul Kimchi Academy at the second floor of the building. The instructors were pleasant and helpful. TIP: Take your time taking photos in a Hanbok as they have a good selection of colors to choose from, complete with accessories for both men and women. Q: Can my children join the Hanbok Experience only? Will they be able to enter the Kimchi making course? A: Yes, children can participate in the Hanbok experience without taking the kimchi making course. They can enter the kitchen area to observe the kimchi making process off to one side. If they wish to participate, please make sure they purchase a ticket for the kimchi making course (same price as general admission adult ticket).